Experienced digital entrepreneur who have worked the last 18 years with ecommerce, digital subscription models, digital business models, digital/programmatic advertising, strategy and not least digital transformation. The main line through the career has been connecting technology and business. 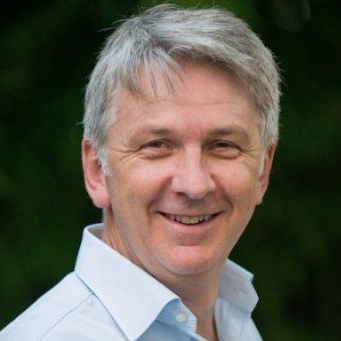 With a core focus transforming ICA’s digital journey, Peter also brings extensive experience in IT & business transformation coupled to digitalisation from his former role as CIO and Head of Digital Transformation at SAS. 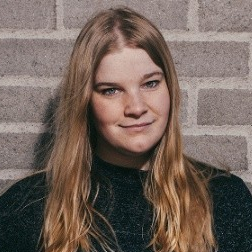 Caroline Carlqvist is a Program Manager Personalization within Zalando’s Personalization team. 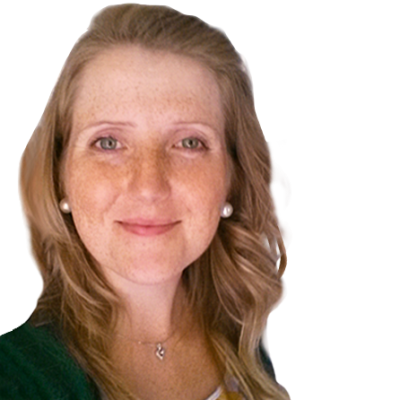 As well as having a strong background in project management, Caroline has more than 12 years of experience working in ecommerce. At Zalando she is focused on creating a localized and personalized experience for all Zalando customers across all 17 European markets. 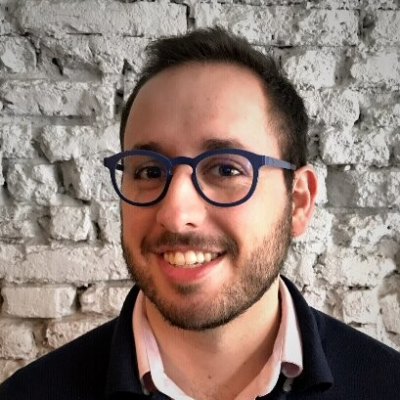 Pino Roscigno is the Commercial Director of Stadium, a valuedriven, leading sports retailer in the Nordics with the mission to activate the world. Pinos core skills are around integrating sales and marketing, driving digital transformation and sustainable positioning. 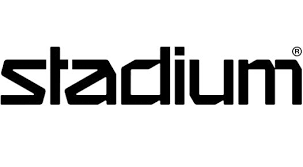 He joined Stadium in November 2017 with the mission to activate the brand and to lead a digital transformation within marketing and sales. 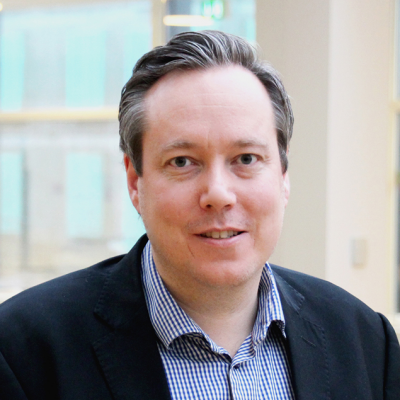 Mikael Lindell is Head of CRM and Customer Insight at Åhléns. Åhléns is Swedens leading department store with 62 physical stores and e-commerce. Åhléns is one of the strongest brands in Sweden and part of the Axel Johnson group with more than 200 companies. With a large loyalty program and lots of data Åhléns are now taking the first step towards mass personalization through analytics and machine learning. 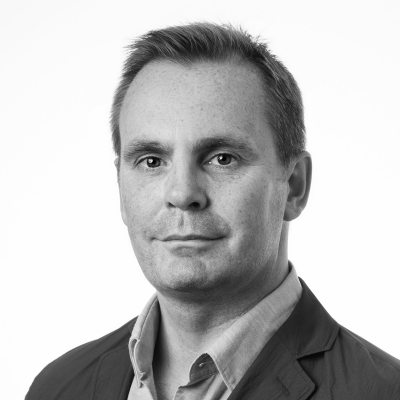 Peter Boris Kreilgaard is responsible for delivering sales and best in class marketing for coop.dk Shopping one of Denmark’s largest and most successful ecommerce sites. He leads the marketing team of +20 employees in a data driven digital environment. The key focus is to drive the acquisition / retention of customers by using a blend of analytical thinking, data driven insight and knowledge of the latest marketing tools combined with a strong creative sentiment. 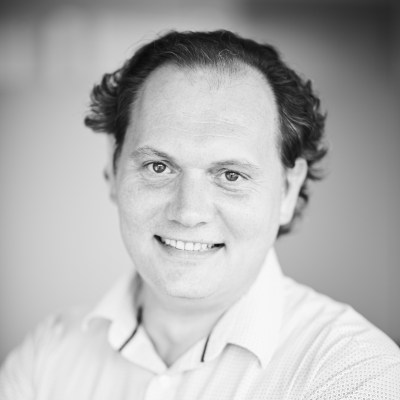 Peter Boris Kreilgaard is recognized as one of Denmark’s most innovative and respected marketing professionals in 2016, 2017 and 2018 by the Danish Marketing Association. Mei Chen joined Alibaba Group to focus on helping European companies expand to Asia and develop new revenue streams. In her role, Mei is capitalizing on her extensive experience in working with Fortune 500 companies in EMEA and the US in business development, sales and people management. Prior to Alibaba, Mei was leading the global efforts for Mobile App Developers at Google HQs, working with Sales, Marketing, Product and Legal teams to support developers and drive incremental revenue for Google. Prior to this, Mei was managing global sales programs to accelerate growth through improvements in Google’s productivity in acquiring new advertisers. 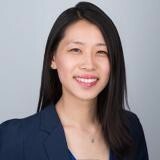 In her free time, Mei advises and helps startups with areas such as online marketing strategies, monetization and new go-to-market strategies. 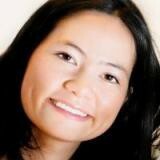 Mei started her career in Marketing and Business Development for medical devices at General Electric (EMEA HQs). She holds a Bachelor degree in Business Management and Finance from Carlos III University of Madrid (Spain) and studied at HEC Paris (France). 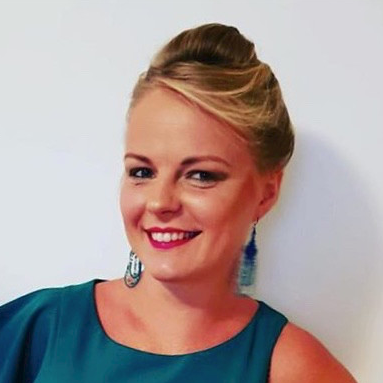 Line Ghisler is Head of Digital Sales at Danske Spil, the national Gambling and Lottery operator, with well-known brands such as Oddset, Lotto and Eurojackpot. 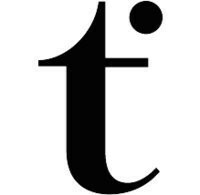 Line started at Danske Spil in 2015, growing the online-channel organisation, with a focus on improving mobile presence, online user experience and collecting/activating online behavioral data. 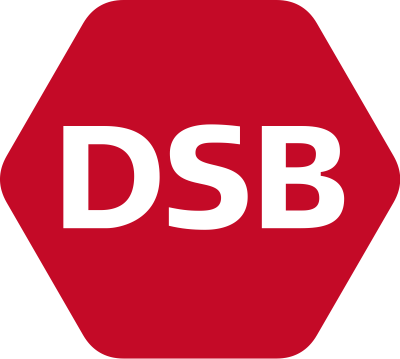 On a weekly basis, Danske Spil has more than 300,000 unique online customers, generating seven million monthly user sessions in web browsers and apps. From 2015 to 2017 gross gaming revenue has increased by 20%, and the online B2C channels now generate roughly 50% of Danske Spil’s total gross gaming revenue. 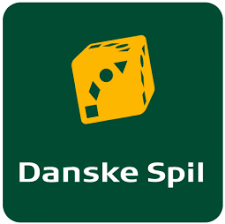 In 2017 Danske Spil generated a total gross gaming revenue of DKK 4.9 bn, returning 2.7 bn DKK to its owners, the Danish state. At Flying Tiger Copenhagen, a rapidly expanding Danish retail concept with presence in 950+ retail stores in 30 countries, Nathalie Brogaard Jensen currently works on the global strategy to lift the customer experience across multiple touch points, from social media to websites and stores. 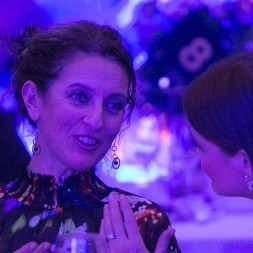 Nathalie is former Vice President for Global CRM and eCommerce at PANDORA, one of the world's leading jewellery company. Nathalie established eCommerce for PANDORA, starting with strategy and implementation and resulting in the management of eSTORE teams and daily end-to-end operations in 14 markets. 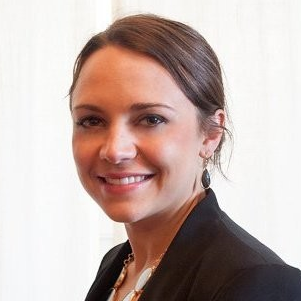 Nathalie also drove the digital technology transformation at a global scale, to improve customer experience with data-driven marketing, a Single Customer View and connecting the dots between multiple touch points for customers and 8+ million Club members. 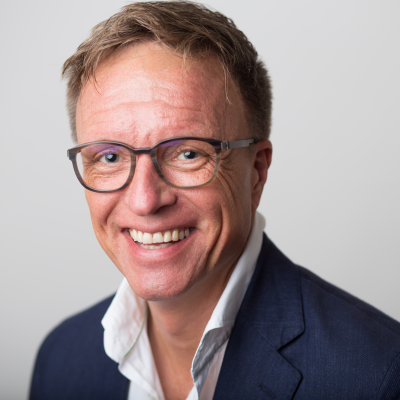 As Vice President, EMEA Sales at RichRelevance, Henrik is helping the company meet the region’s rising demand for data-driven personalization and omnichannel retail. Henrik leads a team of personalization sales experts who help leading brands and retailers in Europe achieve their customer experience goals through personalization. 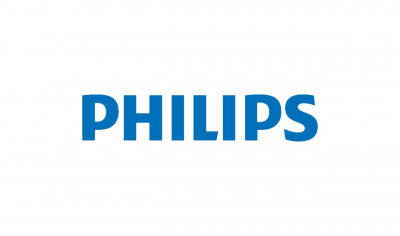 Ghita Bilenberg is Marketing Manager Retail at Philips Denmark, a global leading health technology company focused on improving people's health through innovative technology and integrated solutions. With a proven track record in successfully launching the electrical razor OneBlade with a 4 phase activation plan accelerating penetration and activations building the brand. Ghita’s skillset is centered around understanding the shopper decision journey and create a roadmap that funnels traffic and conversion. 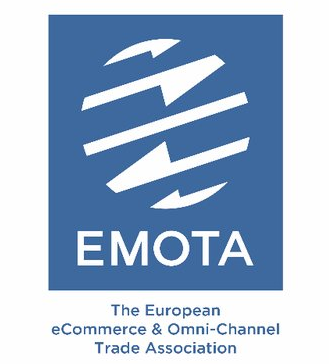 Triin is Director of Government Affairs of EMOTA (www.emota.eu), which represents national e-commerce associations and corporate online traders in Brussels. She is in charge of the European Union policy and advocacy activities, which include European Union consumer legislation, international trade, digital agenda, payments and other European dossiers with an impact on online selling. Triin has a long-standing experience in European Union affairs, both in private and public sector and she holds a degree in EU Law. She has worked for several years in the European Parliament, as a political and legal advisor to the Members of the European Parliament. She is originally from Estonia and loves travelling, skiing and is entrepreneurial by heart! 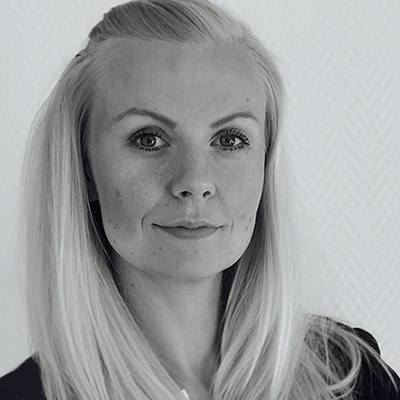 Anna Olofsson is Digital Marketing Manager at MediaMarkt, one of the biggest home electronics retailers in Sweden. Anna is responsible for developing and implementing the marketing strategy in all digital channels to build MediaMarkt’s brand in Sweden and to drive sales in stores and online. As MediaMarkt has both physical stores and e-commerce, it is important to keep the communication consistent throughout the whole customer journey, despite the channel or the stage of the purchasing process, to provide customers with a seamless experience. 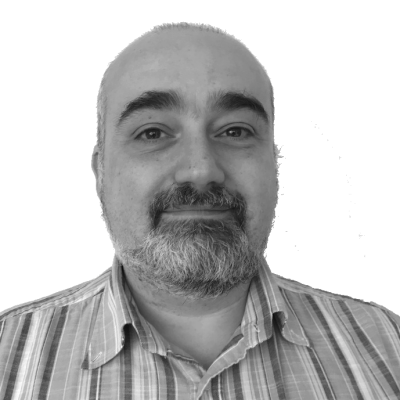 Brians passion is ecommerce and he has spent the last 20 years to get technology, communication, design, marketing and strategy come together and create digital transformation in retail companies. 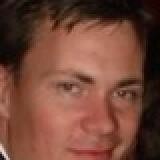 Currently Brian is ecommerce director at Matas. Johanna leads Reima’s omnichannel customer experience and development. Reima.com eCom platform in 9 different markets and international store, ReimaGO kids’ activity tracker and application, consumer analytics as well as digital transformation are the key programs. Establishing new ways of doing through pilot projects is in the center– online and offline. 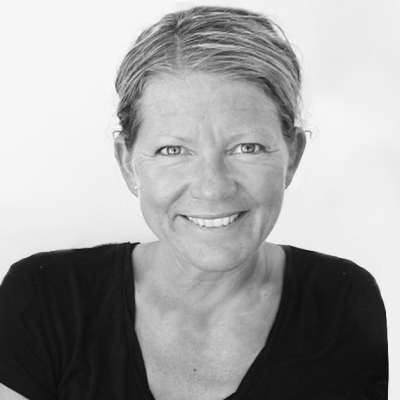 Johanna’s previous experience comes from innovative startups and international design agencies. 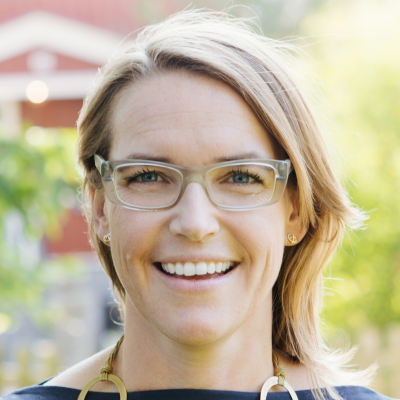 She’s passionate for creating experiences people would love to use - today and in the future. Reima is global, profitably growing, children’s active wear brand with presence in over 90 countries and net sales of 113 million € in 2017. 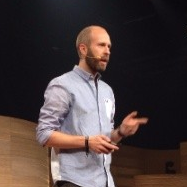 Johnas Liljegren is a retail industry manager at Facebook with an expertise in online marketing. He leads the team at Facebook that works with some of the largest Omni-channel retailers in the region helping them grow their business through Facebook. 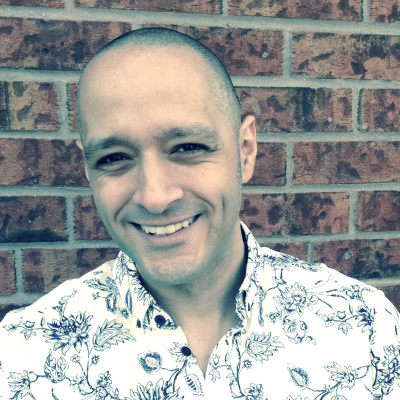 With over 14 years of experience in the online marketing industry from both the advertiser and publisher side he has deep knowledge of what it takes to win in the digital space. A digital strategist at heart, Penny is passionate about digital innovation and loves experimenting on live customers. As Head of Digital Innovation and CX at Nobia Penny works with future customer journeys in the kitchen buying space. She is currently responsible for driving the lab process and establishing omnichannel test stores at Nobia, which includes testing new instore technologies, building new digital products, and attempting to create an omnichannel buying experience that makes both customers and salespeople happy. Metsä Wood is a producer of sustainable wood products. The company employs 1500 people, has a turnover of 500 M€ and operates globally. Mikko specializes is strategy, international sales channel management and B2B marketing. 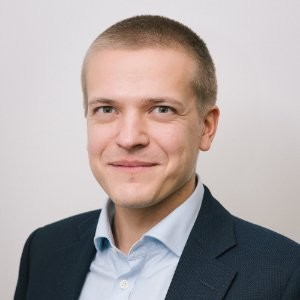 He is a member of the Management Team and responsible for business development projects, such as digitalization of the customer experience, marketing and internal process development. Before joining Metsä Wood he held senior management positions in several companies in IT, Telecoms and Online Services. He has also worked as an independent management consultant. 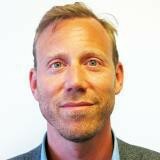 Mikael Lenneryd is heading up the Digital team at Apoteket AB, the leading pharmaceuticals retailer in Sweden. 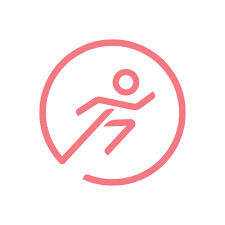 The role includes areas such as eCommerce, Omni-channel, Loyalty program and the development of the app “Mitt Apotek”. 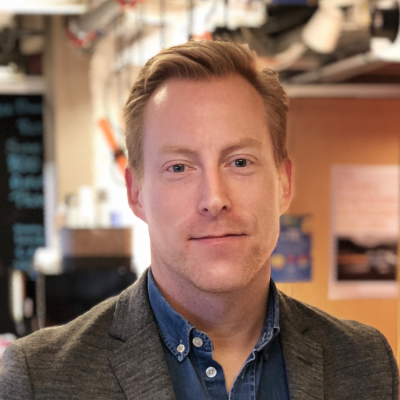 In prior of this role, Mikael was working at Samsung Nordics in the field of Marketing Innovation with focus on collecting, structuring and activating consumer data for personalization and marketing and more. 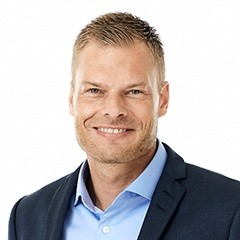 Allan Bo Christiansen is a Digital Business Developer and an eCommerce evangelist at Atea, the largest IT and infrastructure company in the Nordic. With an extensive knowledge in B2C and B2B eCommerce and continuously challenging status quo, Allan has proven to change the way customer journeys are being personalized - uniting it with high growth in digital revenues and increased customer happiness. Anna Ullman Sersé is newly appointed as the CEO at NLY Scandinavia running two of the biggest online fashion destinations in the Nordics – NELLY.com and NLYMAN. 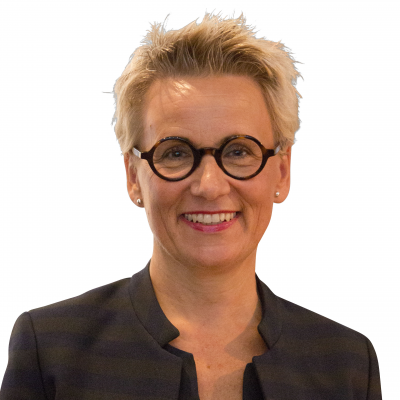 She has previously worked as a Consultant with most of the largest retailers in Sweden supporting them in becoming more customer focused and leveraging the potential in the digitalization of everything. 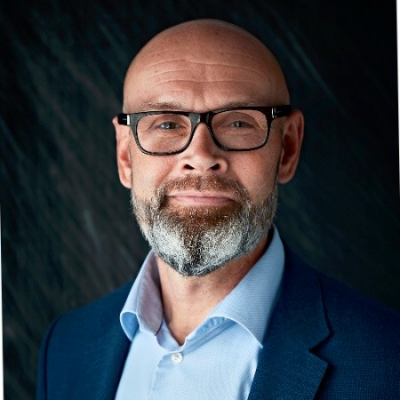 Jan Romme is Chief Digital Officer (CDO) at Lomax, one of the largest office supply companies in Denmark, where more than 80% of its turnover is generated through digital channels. Jan came to Lomax 2 years ago with a long proven track record for generating online revenue and successful business development from well known Danish businesses such as SPORTMASTER, TDC og Københavns Lufthavne (CPH). 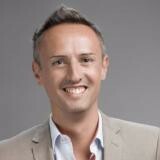 Jesper Jensen is Online Marketing Director at Boozt.com, the fastest growing fashion retailer in Scandinavia. Jesper have during the past 5 years worked for Boozt.com with responsible for search engine advertising as well as KPI reporting. 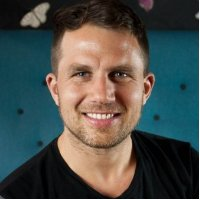 In the past years have Jesper focus on improving the KPI reporting as well as reallocating to get a better performing media mix. 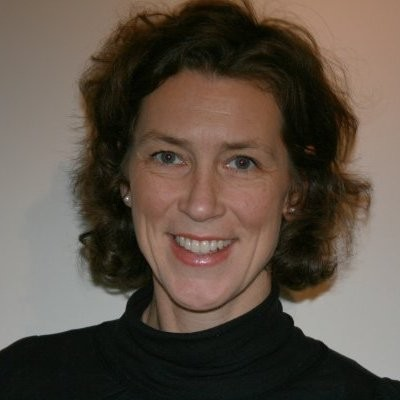 Michelle serves eBusiness & Channel Strategy Professionals and is based in Forrester’s UK office. Her research covers digital commerce and how changing consumer behavior and technology affect the way that organizations engage with customers. She has an additional lens on European retail. Her current research themes include digital business transformation, omnichannel commerce, as well as digital trends and forecasting. 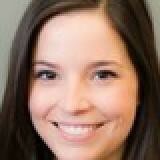 Her research also analyzes direct-to-consumer strategies for brands and manufacturers. 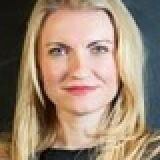 Anna Stig, Nordic Head of E-commerce at Dustin Group. 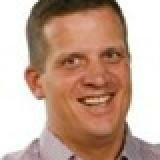 Dustin is one of the leading resellers of IT products and additional services in the Nordics. With a fairly small in-house team, Dustin’s e-commerce team has delivered continuous growth with a sustained cost of sales. 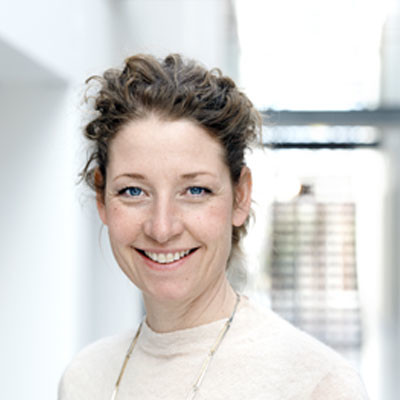 Anna previously held the position as Head of Digital B2B/Digital Transformation at Tele2 before joining Dustin. 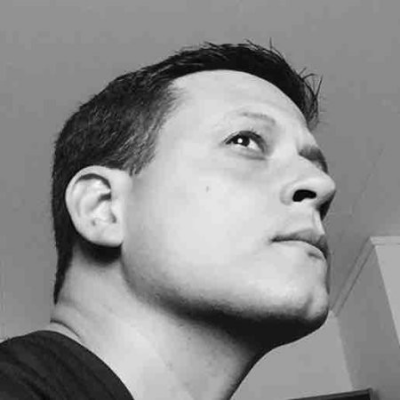 Arnoldo has been working in retail with IKEA Global for almost 6 years, prior to IKEA he has worked in a variety of industry such as hospitality, online gaming and IT Security since the beginning of 2000 in the of digital marketing area with highly focus on Multilingual Search Engine Optimisation. 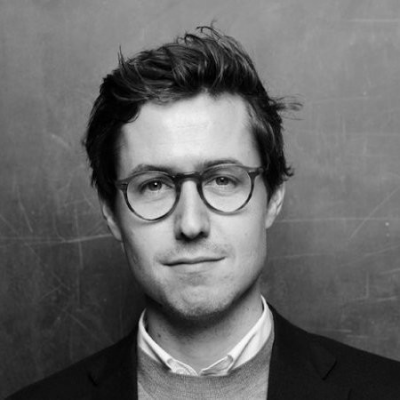 Matthew Hearle is a Strategic Director at ACNE Advertising in Stockholm. With a solid creative lens to his strategy initial helping startups deliver first class branding and growth through his company, Socialeyes, Matthew brought a new way of thinking to ACNE strategic department; one that is social media focused, data driven, and youth oriented. This thinking helped secure clients such as Instagram, Playstation and Eton for which he leads the creative strategy. Digital Leader with solid experience in handling major international consumer brands across multiple countries, industries and markets in a digital environment. In my current role as Head of User Experience (UX) and Digital I am responsible for one team of digital product owners, one team of UX designers, conversion rate optimizers and web analysts. In the larger team we set requirements, design, test, follow up the company's four Nordic holiday e-commerce sites. 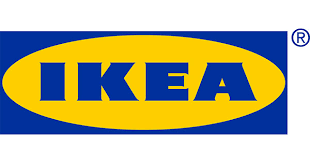 In Sweden only, we stand for 3-6% of Sweden's total e-commerce turnover. 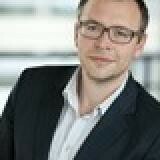 Ola Lilja Molén is Country Manager of Market Unit Nordic & Baltics at Sony Mobile Communication AB. 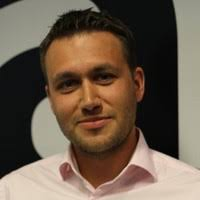 He started at Sony Ericsson 2005 as Head of marketing , 2011 he moved on working as Vice president marketing for Sony Mobile in Asia, based in Singapore, then moved back to Sweden in 2015, and took over the responsibility as country manager for Nordic and Baltic region. 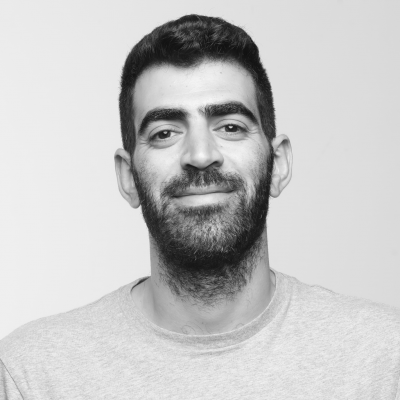 Ola has extensive experience from the telecom business and has strong understanding of the shift from physical to digital channels and what this means for a producing brand both in terms of Sales and Marketing. 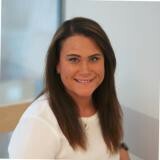 Alice Monberg is head of marketing in the Danish hypermarket chain Bilka (part of Salling Group). Before Bilka has had several managing jobs in Danish retail, where she has developed and managed sales and marketing. 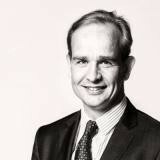 Nicklas Storåkers is owner and CEO of PriceRunner. PriceRunner is the leading comparison shopping site in Denmark and Sweden with more than 1.6 million products from over 16,000 merchants. Annually, PriceRunner has more than 100 million visits. 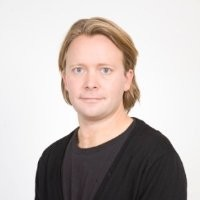 Rasmus Thau Riddersholm is Head of Online Sales and Experience at Telenor Denmark in charge of both the daily digital sales operation and UX development. Telenor has an ambitious goal of putting ‘Online First’ in product and business development, and Rasmus’ play a key role in bridging a digital mindset with customers first approach to secure increased sales in the highly competitive and commercial Telco market. 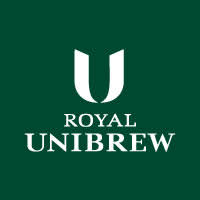 I've had the privilege of influencing products used and loved by millions. 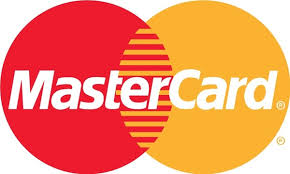 These include Movistar, BBVA, Standard Chapter, Sony, Paypal, Audi, Toyota, Weekday, Nokia and more. Nowadays, I am responsible for establishing a design practice across disciplines in collaboration with Craft Leads (Research, Service Design, Interaction Design, Visual Design) that focus on quality delivery and team sustainability. Allan Helleskov Kleiner is a Former Marketing Manager and he was responsible for web and app at Fitness World and Urban Gym. 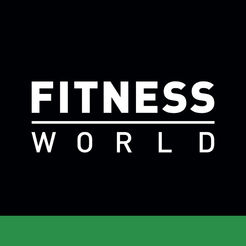 Allan has been at Fitness World for four years and during this time Fitness World has accelerated its customer intake and has been sold to an equity fund. The app is central to Fitness World’s aim to increase customer interaction and improve its retention rate. Gustav Kall has been engaged in the gaming / esports industry since the late 90s. What began as a passion through competing later evolved into a professional gaming career, co-founding the most renowned team in the history of World of Warcraft - Nihilum. After the professional career came to end - Gustav has been an serial entrepreneur working to expand esports in Europe and across the world. Today Gustav is Global Head of Partnerships Gaming at Universal Music Group and leads the Worlds largest music company in the efforts to forge and create partnerships with one of the fastest growing industries in the world. 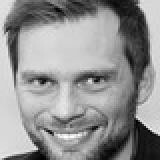 Kåre Berenthz-Nicholaisen is a relentless digital marketer with a solid brand background. Kåre does not only work with digital execution but also has a strong focus on digital as an embedded growth driver in the organization. 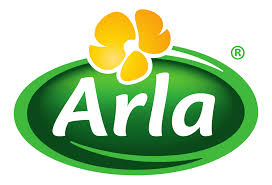 Kåre has been central player in the digital transformation with Danish retailer Salling Group and today in Arla – where the aim is to become the #1 digital FMCG. 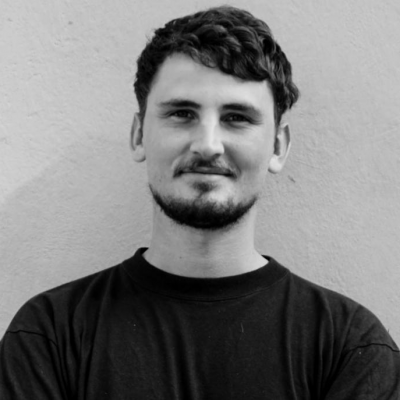 Kasper Hove started up his digital career as Lead Account Strategist at Google in 2010 and has since been responsible for digital marketing at momondo and been involved in the sale of momondo to both Great Hill Partners in 2014 and Kayak Group in 2017. 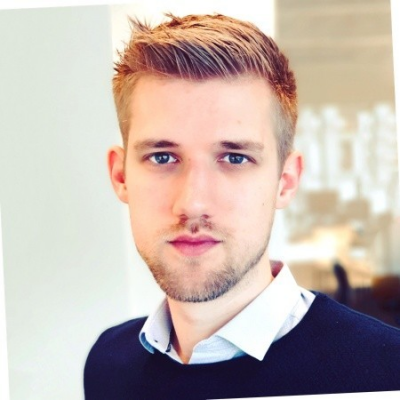 Kasper has been responsible for training and employing more than 80 digital marketing managers at momondo, and hence for building the biggest digital marketing team in the Nordics, and maybe even one of the most talented and engaged digital marketing teams in the world. 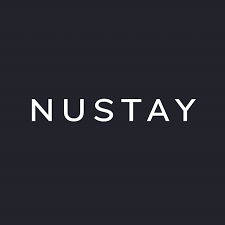 Today Kasper works for Nustay as CMO and works hard in particular on getting the product ready for marketing together with a development team of 40 situated in Kiev. 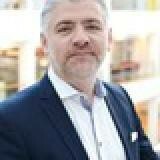 Kjartan Dannatt is responsible for all e-commerce at Norway’s most ionic chain of bookshops- They have all the Norwegian books and in addition to nearly 400,000 English books. Kjartan launched Ark Bokhandel’s Norwegian and English collection of e-books last summer, in both Apple and Android apps. 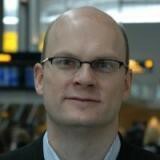 Kjartan will share his top tips about what customers expect on Day 1 afternoon. As Vice President of Conrad International's consumer business, Daniel is leading the groups transformation into the new digital era of retail. 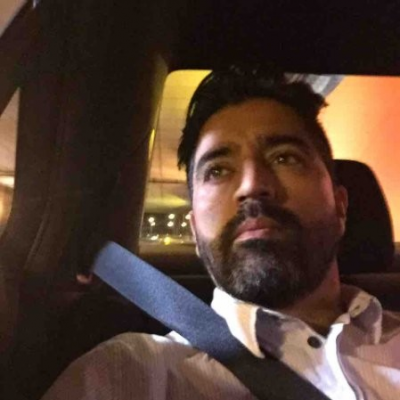 He is passionate about challenging the traditional business models and sees the current dynamics in the business as a new opportunity for the entire industry and believes that the threats of market consolidation will only eat those, who are not able find and protect their niche and develop a unique value proposition. 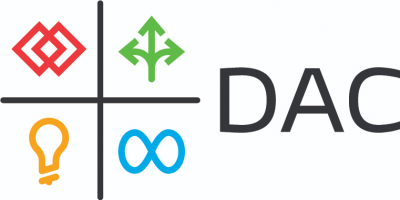 According to Daniel, only those who act proactively, swiftly and are able to reorganize structures and processes faster and more effectively will survive. Charlotte Katz is head of Digital and Unified Retail at KappAhl, one of the biggest Fashion Retailers in Sweden. 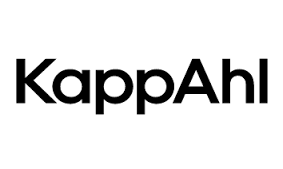 Since Charlotte´s arrival in early 2016 KappAhl´s difgital journey has been brought to focus with a huge increase in E-Commerce revenues, projects launchs eg Click & Collect, Shop online instore for endless shelves, Klarna seamless payments instore, internal Customer Service and profound increase in digital awareness across functions. 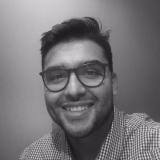 Nasser Sahlool is VP-Client Strategy at DAC. 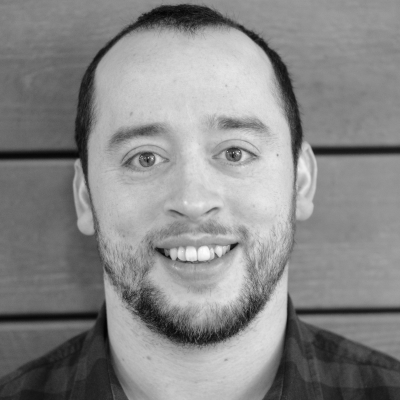 Leveraging his expertise in digital marketing, local and mobile conversion, performance optimization and benchmarking, he leads a team of strategists and researchers whose job is to design and implement high-performing programs that connect buyers and sellers. Nasser is a frequent speaker, having presented at such digital forums as Cannes Lions, Ad Age Brand Summit, Google Engage, SMX and eMetrics. 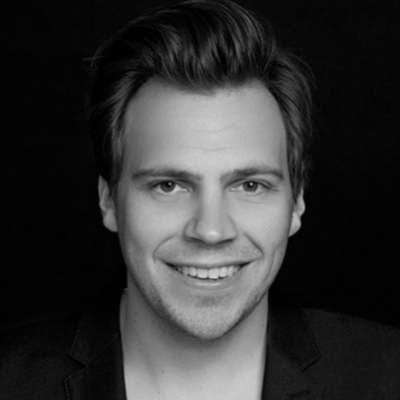 Thomas lives in Helsinki and works internationally as a strategic mentor and interim Head of UX for e-commerce leaders. He has created a framework named B O L D to help ambitious companies build up their in-house A-teams and combine dynamic business progress with brand experience and holistic happiness. Anders is energetic and has an expressive sharpness in his views and comments. 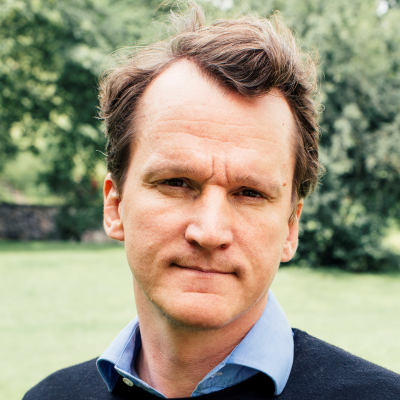 His exciting background counts both human and digital experiences, which have been the focal point for many of the projects Anders has worked with through the years. From experiences in theme parks and attractions to media productions for the European market, development of digital loyalty concepts and brand activations for some of the biggest brands in Denmark. Anders is passionated about developing businesses regardless of level. 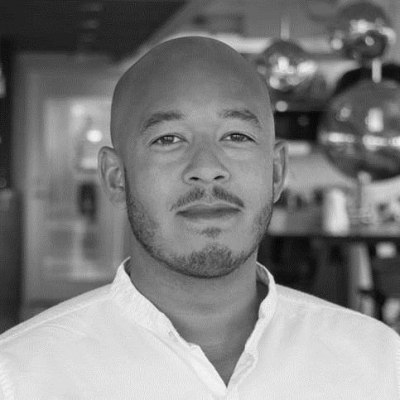 He has been an entrepreneur, co-founder and has had executive positions on both sides of the table within advertising agencies and larger Danish companies. Beside his work as a business developer, he is currently involved in the making of the podcast “Beyond Digital”, a podcast that focusses on the relation between humans and technology. He has a natural curiosity and interest in business in general, the society we find ourselves in - and not least the impact that technology has on how we live our lives. 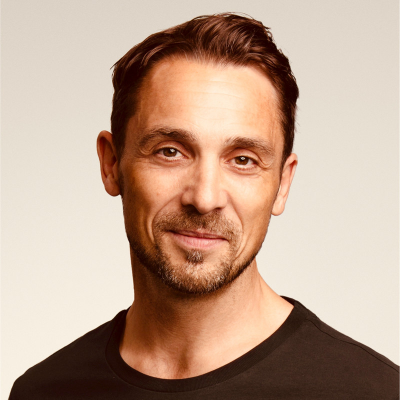 Jesse Jyläs is the Co-Founder & CEO of SPOT-A-SHOP, the leading fashion discovery platform for discounted clothing and sportswear. The pure discount concept has successfully helped over 15M consumers to easily find the best fashion bargains online and is currently operating in multiple European countries. 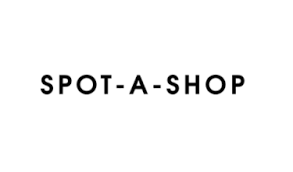 By aligning the customer needs and retailer's offerings, SPOT-A-SHOP has significantly boosted the retailer partners' sales, improved inventory turnover and increased overall margins in these competitive markets. 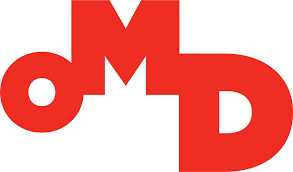 Bo Damgaard is Managing Director at OMD Denmark, a best-in-class marketing performance agency. With many years of experience within client service management and as a strategic marketing advisor, Bo has picked up in-depth knowledge and competencies within digital business transformation, gaining a strong accomplishment record within strategic planning in regards to brand and business consulting to senior client management. Carl has an extensive experience in marketing and media fields. In his previous jobs he was the CMO for McDonald's Sweden, and Northern Europe. 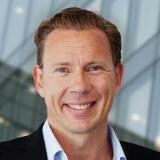 Besides, he was the CEO and Founder of OMD media agency/Omnicom Media Group Sweden and DDB Stockholm. At the moment he is in charge of Google Sweden focusing on helping retailers to measure and understand better their customer’s journey. At the event he will explain how to identify and implement an attribution model that gives unique insight into your customer. 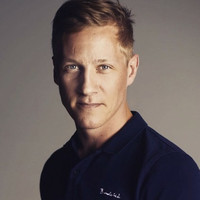 Malthe Cederborg is CMO at Miinto, one of the largest fashion platforms in Europe - right now showcasing roughly 400,000 products, several thousands of brands and more than 1,600 partner boutiques in Norway, Sweden, the Netherlands, Belgium, Poland, Switzerland and Denmark combined. With a high focus on e-commerce, inhousing of core competencies and scaling of digital effort, he has shown Miinto’s capability to create impressive sustainable growth in a highly competitive market. 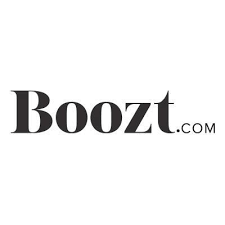 Javier Artal is a CRM Project Manager at Boozt.com, a fast growing player in the e-retail Nordic region. 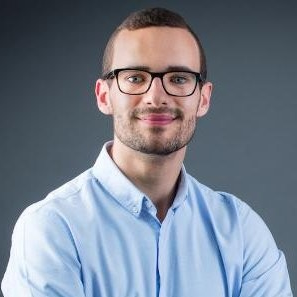 With a proven ability to analyse new opportunities within the field, Javier has developed important projects related to personalisation, customer loyalty, customer reactivation and deliverability, helping Boozt's growth in the market by his ability to read customer needs and expectations through data. You will find me either building something new or making big changes happen in some existing business. Whatever I'm working on includes elements from sales, marketing, software development and digitalization in general. I started off as an entrepreneur and founded two companies before becoming a business executive. Currently this means taking care of Bisnode's Marketing service offering. So I'm working with sourcing, crunching and analyzing massive amounts of data, packing it all into easy-to-use products and scaling those products into multiple markets. 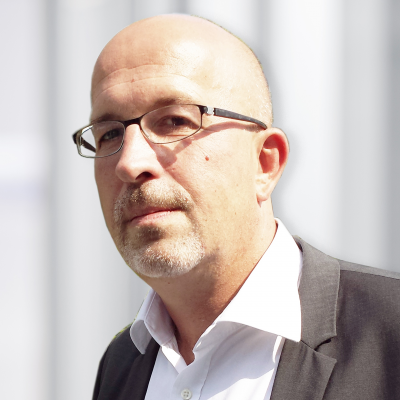 As Head of Partner Management at commercetools, Dirk Weckerlei is responsible for looking after existing partners as well as expanding indirect sales. He is also responsible for Business Development with partners. 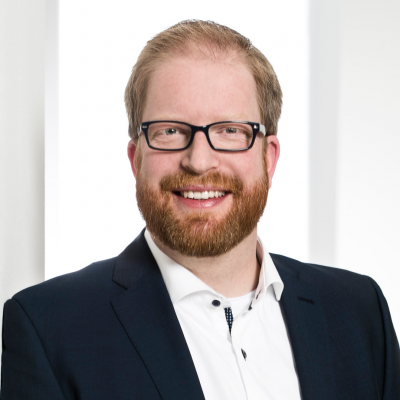 Before moving to commercetools in 2016, as Senior Partner Sales Manager and Partner Business Development Manager for Intershop Communications AG, he was in charge of the development and expansion of the global partner network and establishment of the global partner program. 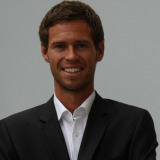 All in all, Dirk Weckerlei has more than eight years’ experience in eCommerce and digital business, during which he held various partner sales and management positions. 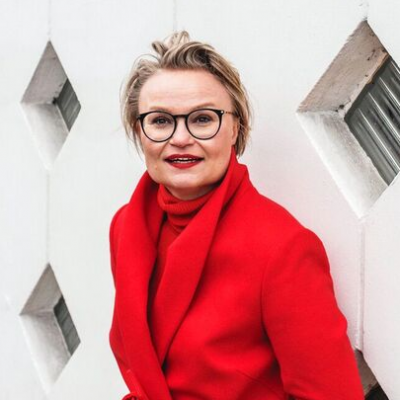 Emmi Jouslehto is the CEO and co-founder of the Nordics leading Augmented Reality company Arilyn. Arilyn offers AR tools for creatives and has a special focus on brand storytelling. Arilyn has rapidly grown to be one of the key influencers in the AR market and is used by customers like Arla, Unilever, Cloetta, Huawei and Avery Dennison. 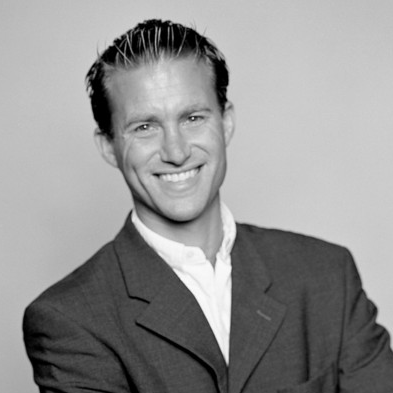 Since 2002, Dr. Roman Zenner works as an author, consultant, and speaker in e-commerce. 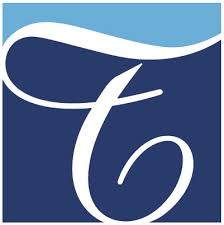 He has written several books on web shop software and regularly publishes articles in professional magazines and blogs. 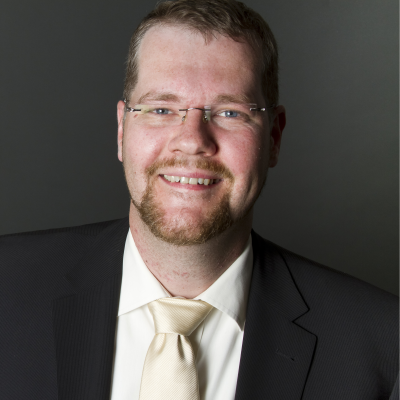 Dr. Zenner runs shoptechblog.de as well as the podcast ShopTechTalks. Furthermore, he speaks at conferences, teaches university classes and moderates expert panels. In his work, Roman focuses on next generation commerce technologies and explores what retail will look like in a post-web world. 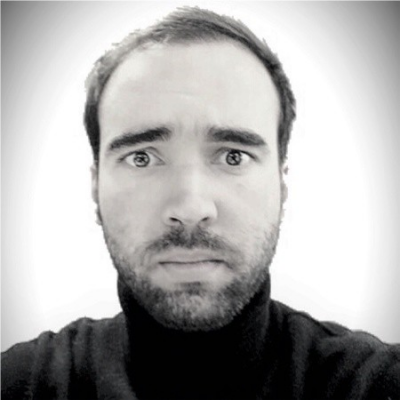 Since 2015, he is a full-time employee of commercetools GmbH (REWE Group), working as an Industry Analyst & Content Writer. 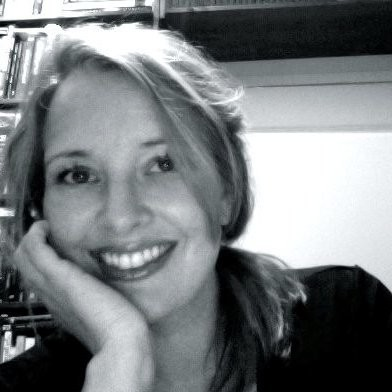 Mette Willert, is a creative producer and visual storyteller. She has more than five years’ experience working in the social media industry as creative producer, community manager, editor and creative lead. Mette was Danish Railway's first hire on their Instagram account, and has worked in the social media team for the last five years. Besides running her own consultancy, Mette has established a strong Instagram profile known as @Littlemycph with a fanbase of 42K followers and with a strong focus on architecture and urban landscape. 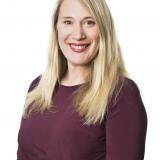 Jenny Gejke is responsible for the development of SJ's digital sales & self-service channels as well as SJs roadmap för the digital customer experience. 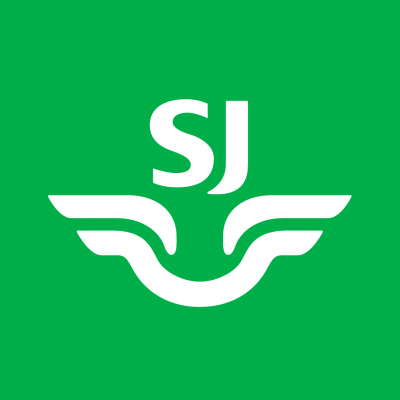 Jenny has previously helped establish SJ's presence in social media and during the last five years successfully launched several new digital services for traffic information, seating, customer service, payments etc to SJs customers. 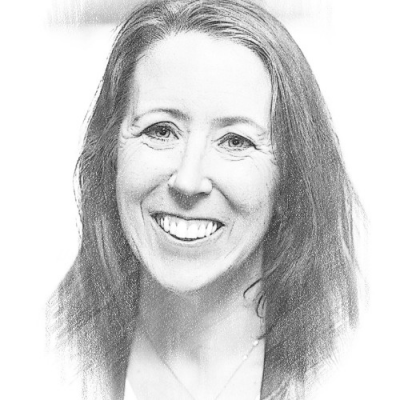 Jenny has a true customer centric approach to development of new and improved services in all digital touch points during the whole customer journey and over 20 years of experience of working with the development of digital services as both a client and as a consultant. Oskar Kerola is Head of Online Marketing at NLY Scandinavia AB, running two of the biggest online fashion destinations in the Nordics – NELLY.com and NLYMAN.com. 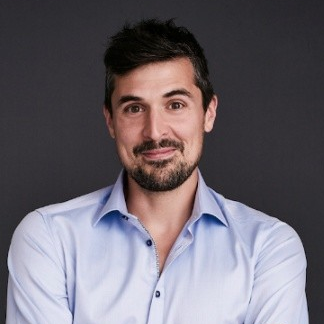 Oskar has been at Nelly since 2011 in various department from finance to purchasing, and since he became Head of Online Marketing in late 2016 the company has reclaimed its customer acquisition growth to historical high levels, up by 20% year on year, and made its most profitable year ever in 2017. 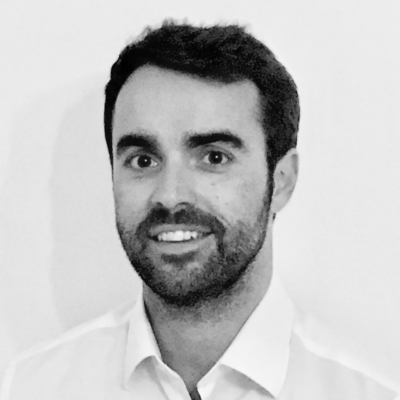 Will is an experienced leader in ecommerce and omnichannel retail, with a track record of growth in the sector, particularly SME’s and private equity funded businesses. 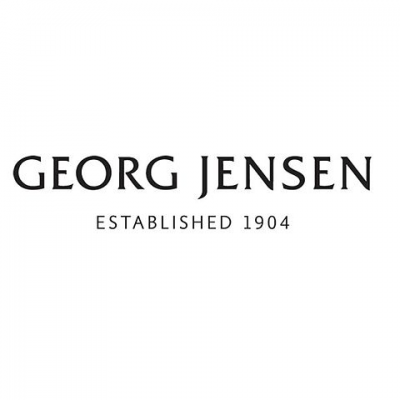 He leads the global ecommerce function at Georg Jensen, a leading Scandinavian design brand with a rich heritage and global footprint, trading in 100+ retail stores across North America, Europe and Asia Pacific. 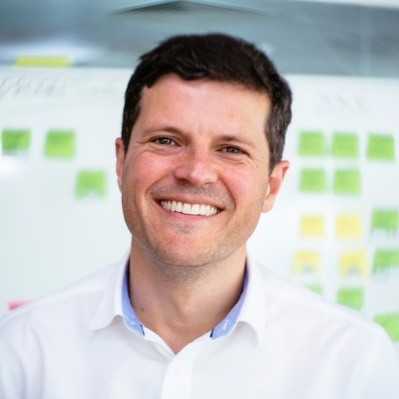 Previously he worked with global brands such as Adidas, Diageo, Porsche and Jaguar-Landrover, leading customer first and business change programmes. Will regularly talks at industry events, is a certified Agile practitioner, and sits on the editorial board of the Journal of Digital & Social Media Marketing. 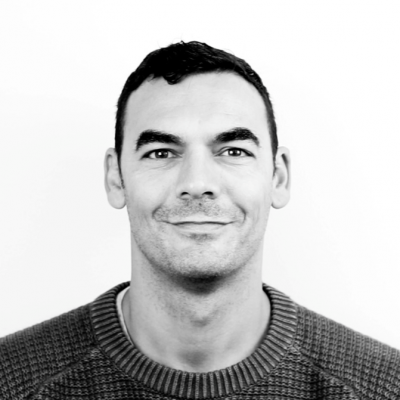 Over the years, Luke has worked closely with household retail brands such as ASOS, Footlocker, Boohoo & Net-a-Porter, where online payment and checkout optimisation is a key driver for success. Luke has a unique understanding of how the global payments landscape is evolving, as consumer behaviour and payment preference changes over time, regulatory amendments allow for new cost-effective and technologically advanced payment solutions to grow, and why traditional payment methods are losing market share to these new and innovative solutions that help drive cart conversion. 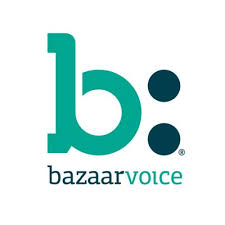 At Bazaarvoice, our Solution Consultants are experts regarding the Bazaarvoice platform and services offering. Using both their business consulting and technical expertise, they “connect the dots” and provide recommendations around how clients can leverage the BV platform to maximize the positive impacts of Consumer Generated Content for their business. 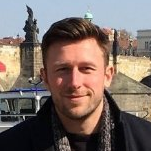 Working for over 8 years in ecommerce, across email automation, site merchandising and consumer generated content, Alex lives in London advising clients in the UK and Nordics. 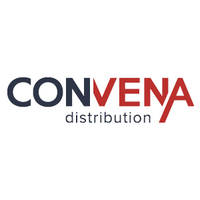 Over 5 years of experience delivering custom IT and SaaS projects in marketing automation and revenue optimization for healthcare, fashion, travel and CPG industries across Europe and LATAM. Graduated in economics with a Masters in international management. 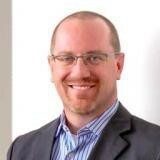 Director of Industry Strategy & Insights at Salesforce and has worked in the retail industry for 20 years. 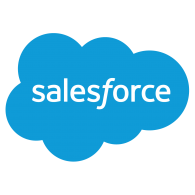 Prior to Salesforce, he held a number of management roles for brands including american golf, kitbag, Brora and many more. Erica Eliasson is Nordic Marketing Manager at Philips, a global leading health technology company focused on improving people's health through innovative technology and integrated solutions. At Philips Nordics, Erica is responsible for OneBlade, an electrical razor that was successfully launched in Nordics 2017. Erica has a background of digital strategy, Virtual Reality gaming and influencer marketing. 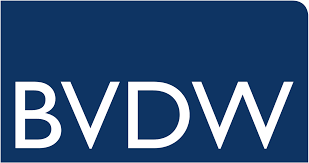 Achim Himmelreich is the Vice President of the German Association of the Digital Economy (BVDW e.V.). For the last five years he chaired the association’s Digital Transformation and IoT Initiative. In his role as Head of the Digital Retail Center of Excellence at Capgemini he furthermore introduced the topic of Conversational Commerce to the German market, based on fundamental research that has been conducted with Intel and the Massachusetts Institute of Technology. 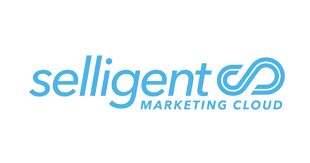 As a Solutions Consultant at Selligent Marketing Cloud, Tim works with leading B2C brands to help them engage with consumers across all critical marketing channels and, to put the consumer at the core of every action. With a background in technical project management, Tim is extremely adept at helping clients turn their marketing challenges into success. 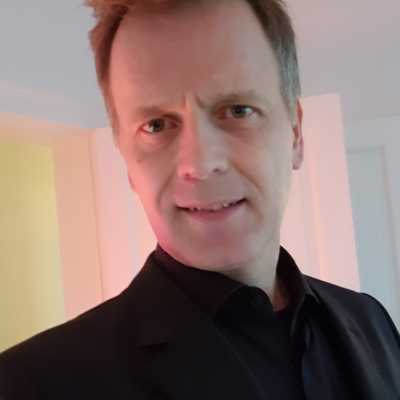 Tim has accumulated an extensive knowledge of the digital landscape and has built a reputation on enabling brands to build winning marketing strategies.Tim holds a degree in Applied Computer Science from Hogeschool PXL. 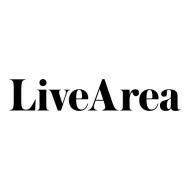 Dr. Douglas Hollinger joined LiveArea in 2015. 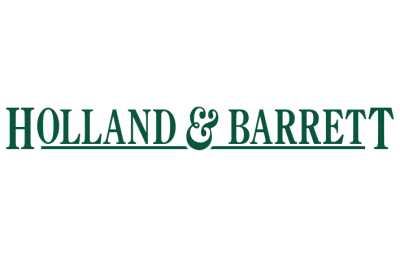 As SVP of Strategy & Consulting, he has global responsibilities for client services as well as the company's consulting and strategy offerings. With more than 12 years of executive experience and more than 17 years working in digital-focused consulting, Douglas specializes in helping B2B and B2C companies achieve measurable success by identifying and capitalizing on emerging digital opportunities. 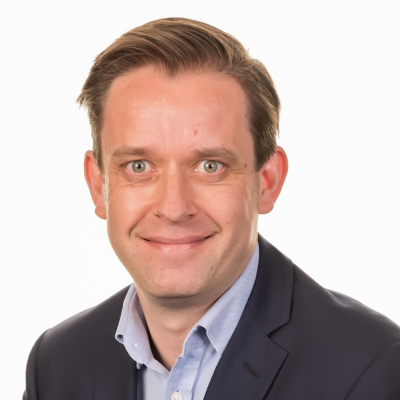 Michael joined Klarna as Chief Commercial Officer in June 2015. Klarna is a leading payments company founded in Stockholm, Sweden in 2005. As Chief Commercial Officer, Michael has direct responsibility for driving Revenue Growth across the portfolio of 18 markets Klarna operates within, distribution through direct & indirect channels to the 70k merchants that use their products as well as leading the Corporate Development Function to accelerate growth through M&A activity as well as new market openings. 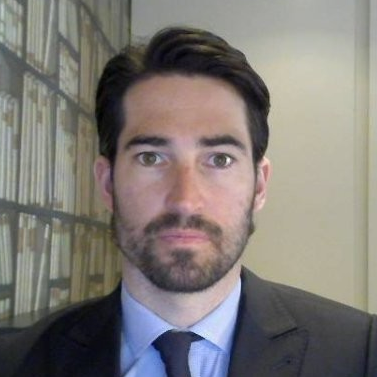 Francois Laxalt is a Senior Director at Tinyclues, focusing on product marketing. Prior to Tinyclues, Francois led product marketing and product innovation for Neolane, followed by Adobe, for 10 years. 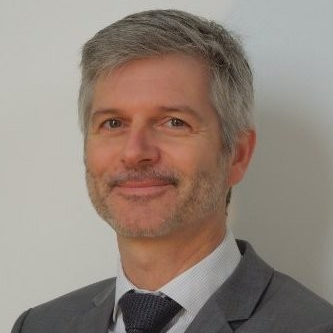 Before Adobe, Francois was Director of Customer Marketing at HSBC France for five years where he created the customer marketing team and successfully developed CRM, campaign management, business intelligence, and data science strategies. Previously, Laxalt spent seven years working for various software companies, including SAS and Datadistilleries as a marketing manager and campaign management expert. Laxalt holds a Master of Science in marketing and data-mining. 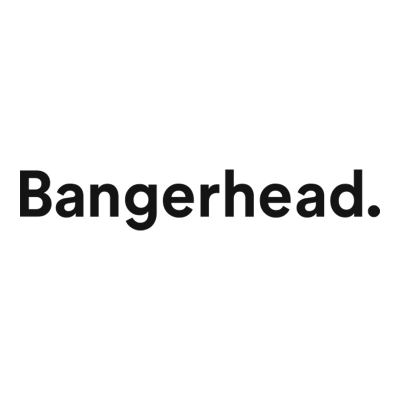 Marc Palmefjord is the CEO of Bangerhead, one of the leading online beauty retailers in the Nordics. 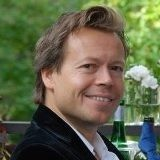 Marc has a wealth of experience in e-commerce, having previously founded Hemfoder.se and ZooZoo.com, both online pet stores. Liraz Margalit, PhD, is a Web Psychologist, a Keynote Speaker and Head of Behavioral Research at Clicktale. 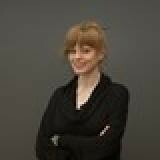 She integrates Cognitive Psychology and Behavioral Economic perspectives to analyzes online consumer behavior and deliver actionable insights for business stakeholders. She is a lecturer at the department of media and communication at the IDC. Her consumer behavior research was awarded with the OBE, Online Business Excellence for 2016 as well as the Best of Neuromarketing 2016. Her research papers and studies can be found in top business magazines such as Entrepreneur, TechCrunch and Forbes. She also writes an ongoing blog for Psychology Today named “Behind Online Behavior”. Mauro started developing digital channels in Italy at the end of the 90s with customers like SONY Italia, Chrysler Group, UniEuro (Dixon Group). In 2008 I moved to Sweden where I had the opportunity to work with Dixon Group again (Elkjøp, Elgiganten), Stadium, Alko, Martin & Servera, Åhlens, Pierce, BMW Nordics and many others.My role and passion was also to take business goals and requirements and translate them in a viable plan and a performant and reliable technical solution, involving all systems from backend to frontend. Currently I am one of the end 2 end architects for the global online platform of H&M. 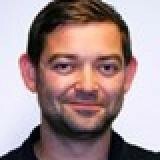 Joakim Lundberg is the Director of New Sales at Klarna. 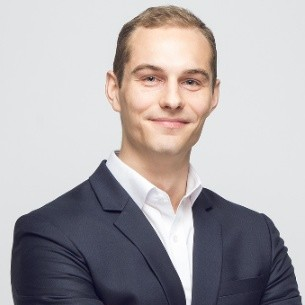 With a background in banking Joakim joined Klarna in 2008. He has, since then, held several sales positions and together with the nordic sales team greatly developed the Nordic Market. 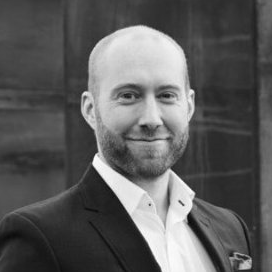 As the Director of New Sales Joakim is responsible for driving revenue growth in the New Sales portfolio across the Nordic Market. Klarna is a leading payments company founded in Stockholm, Sweden in 2005. It is today one of the largest banks in Europe, offering payment solutions to 60 million consumers and 90 000 merchants in 14 countries. Madelene Kraemer is Senior Commercial Manager of Merchant Development Retail at Klarna. With a background in payments, cash management, card payment and internet banking Madélene joined Klarna 2 years ago to drive revenue growth in the Merchant Development portfolio across the Nordic Market. Klarna is a leading payments company founded in Stockholm, Sweden in 2005. It is today one of the largest banks in Europe, offering payment solutions to 60 million consumers and 90 000 merchants in 14 countries. Over 25 years of Sales leadership and Business Development taking in the early days of EDI and industry marketplaces and leading Commerce tech vendors IBM and Hybris. Moshe Demri leads Optimove’s London-based revenue team and is focused on helping clients optimize their customer retention plans and their use of the Optimove software. Moshe has vast experience consulting clients as a data scientist, analysing their customer data and revealing actionable, data-driven marketing insights. Moshe holds a BSc in Industrial Engineering and Management, specializing in Information Systems. With over eight years of experience in the localization industry, Nathalie has helped many of the Nordics’ leading eTailers to outline their multilingual content strategies. Today she heads up TransPerfect’s Nordic retail division and works alongside the global team to capture industry trends and creating scalable solutions that can be applied to global content.